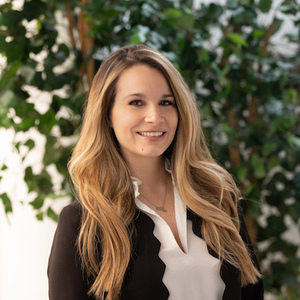 Kayla Crugnale is an experienced, proficient, and committed real estate professional who strives to provide her clients with the highest level of exemplary service. Whether it’s helping clients find their dream home, or downsize from their current home, the Cambridge/Boston real estate market has exactly the kind of energy that propels her forward. Throughout every transaction, Kayla ensures that the human touch is not lost when helping you find your perfect home. Kayla exudes a wealth of knowledge, integrity, and a strong work ethic that ensures every client gets the highest level of commitment and loyalty. Prior to real estate, Kayla explored the fashion industry in retail management at a Fortune 500 retailer. She brings the fast pace thinking and importance of providing an unparalleled level of service to her real estate business. In addition to her professional commitment, Kayla is actively involved community service. In her quiet time, Kayla enjoys spending time on the lake, laughing with friends and family, and eating good food.